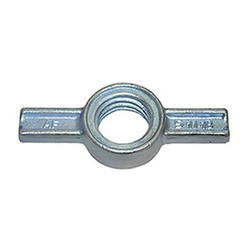 We are a leading Exporter of drop forged jack nut and jack nut from Jalandhar, India. We have complete allegiance in manufacturing an extensive range of Drop Forged Jack Nut. These nuts are widely demanded to level the scaffolding systems with an ease. Our offered jack nuts are fabricated with advanced drop forged technique to render the required strength and durability. Further, these nuts can be ordered from us in self finish or zinc plated finish.